TJD Plumbing, Heating & Gas Ltd offer all domestic plumbing and central heating installation, repair and maintenance services in Kent. We operate from our offices Based in Sevenoaks and Tunbridge Wells and can cover much of the Kent area and East Surrey and parts of East Sussex. We offer a complete plumbing, heating, boiler and bathroom installation service in Tunbridge Wells, Sevenoaks and the surrounding villages. 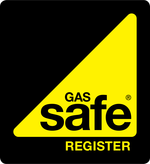 We can carry out boiler services, installations and general plumbing, heating and bathroom works in towns and villages across Kent and East Sussex including; Tunbridge Wells, Sevenoaks, Tonbridge, Paddock Wood, Southborough, Langton Green, Rusthall, Hawkenbury, Kemsing, Otford, Riverhead, Seal, Hildenborough, Pembury, Hadlow and many others.